36 weeks pregnant with twins already! You’re into month 9! Same again, although a couple of things might actually be improving this week, depending on how things are going, uh, down there. Your twins should be pretty much ready to go. Right now, they’re about 18 inches long, and around 5.5 pounds each. Yes, you’re hauling around almost a stone’s worth of baby now. Crazy, right? You might also realise that, at 5.5lbs, your twins are heavy enough now that they wouldn’t officially be underweight if they were born tomorrow. That’s reflected in how they’re doing, too. Circulation, immune system, kidneys and liver are all working fine. Soon, they’ll be ready to breathe out in the real world too. Finally, your twins gums will have become rigid, ready for their teeth to start coming through, all those months in the future. Which I’m sure you’ll realise, as soon as you start breastfeeding! If they were born now, most twins would only have to spend a few days in the hospital, and that’s fantastic. Pelvic aching: As your babies sink lower, ready for birth, they put more pressure on this area, which leads to aches and pains. Heartburn and other digestive problems: Same as the above. Because your babies are putting more pressure on your lower organs, your digestive system isn’t going to be working with the same verve as you might be used to. As you hit the last few weeks of pregnancy, stay off of spicy and fatty foods. Swollen legs and feet: You’re more likely to see this, because you’re carrying twins. It should only be minor though. If you experience sudden swelling, that’s not a good sign, so let your doctor know. Issues sleeping: Ignore the pain and discomfort you feel lying down. Ignore the fact that hormones make it harder to get to sleep. Ignore everything else, and you’d still have trouble sleeping, because of all the things on your mind. Just get what rest you can, and look after yourself as much as possible. Vaginal discharge: You might see more discharge in the coming weeks. 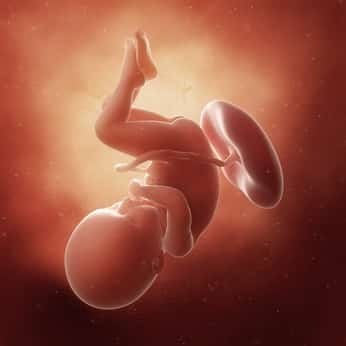 This is your body getting ready for the birth, so don’t worry. But if it’s watery, discolored, or has blood in it, call the doctor immediately. Being able to breathe again: As your twins descend, ready for birth, they’re going to free up space in your chest cavity, so finally you’ll be able to take deep breaths again! If they are still breech, it’s not a reason to panic. Yet. There’s still time for them to turn around naturally, and if not, then your OB should be able to give you some techniques to try and convince them to maneuver naturally. Failing that, there’s always the hands on approach, which can be mildly uncomfortable, but work arounds half the time. If you didn’t have your Group B Strep test last week, you might have it this week. There’s nothing to worry about, just a basic swab test to see if you’re carrying a bacteria that’s harmless to adults, but can cause problems with newborns. If you do, you’ll be given an antibiotic, and that should clear it right up. Because you’ve got twins, you’re also likely to have a regular biophysical profile test, which might be this week. You should have already had one, but just in case this is your first, it’s a standard ultrasound, with non invasive sensors to check your babies heart rate and other vital signs. If you’ve decided on a C-section delivery for your twins, make sure it’s scheduled in with your doctor. You’re pretty much there. Final check time! Go over everything, one more time. Is the nursery ready? Is your hospital bag packed? Have you decided on names yet? Are You 36 Weeks Pregnant with Twins? You’re so close. So close in fact that you might not even make it to next week! If we don’t see you back for next week, congratulations, and good luck on being a new mom! Remember, we’re not just about the pregnancy. 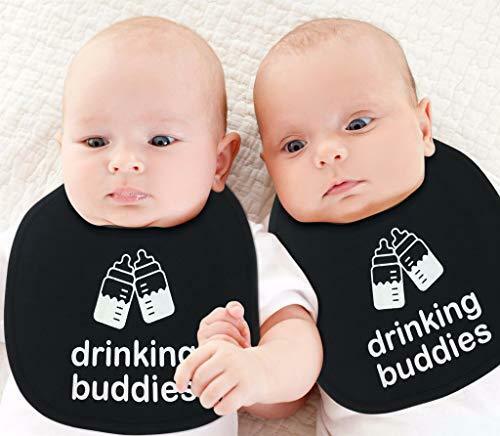 We’ve got articles on all aspects of twin life, so make sure you come back for help with anything and everything you’ll face after your babies have been born! How do you feel at 36 weeks pregnant with twins? My daughter is 36 weeks pregnant with boy/girl twins as of 7/10/18. She has dialated 1 and 1/2 centimeter and losing some of her mucous plug..i dont think she has long at all…Goodluck to you AMD your blessings!! My daughter is 36 weeks with twin boys and ABSOLUTELY NO SIGN of labor….LOL. Poor baby she is so tired.